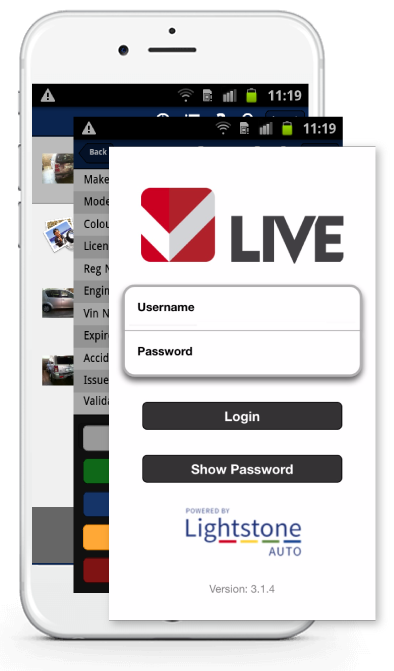 LIVE now offers more than a verification and valuation tool – we help you identify if a vehicle has been repaired. Buying or Selling a Vehicle? Obtain retail, trade, market and residual values, and understand recent sales performance. Want to know a vehicle details before you price? Get insight into the vehicle features at manufacture stage, the repair history and use the mobile app to instantly return real-time information. Validate, verify and understand everything there is to know about a vehicle, including any accidents the vehicle may have been in. Repair History discloses whether a vehicle has been repaired, going back to 15 years’ worth of information. The date and city of repair are easily obtainable through either the mobile App or the website. Instant electronic processing of contact information, storing copies of driver’s licences for test drives and form prepopulation of finance applications, eliminating paper work. EzScore performs a basic affordability test on a potential customer, without performing a credit enquiry. It provides an indication of risk and financial affluence, estimating the person’s likelihood to qualify for finance. The Financed Interest Information is the most accurate in the market, with information sourced in real-time. Our process is POPI compliant. Trade and retail values on current year models, including a comprehensive list of vehicles available in the market. You can verify retail values against a list of the last 5 actual sales of a similar vehicle and adjust trade and retail values based on a vehicle’s mileage and condition. Vehicle Verification offers accurate vehicle descriptions, validation of the VIN number, engine number, make, model and type. Pricing is based on a bundle option, with additional transactions billed according to the bundle rate per report. All pricing is excluding VAT. Customers who do more that 100 reports per month can sign up for a custom bundle with special pricing. Even though the Accident data is comprehensive, the fact that a record of a repair is not returned by the system doesn’t mean that it hasn’t been in an accident/been repaired; it may have been repaired by a smaller or non-approved repairer. The dataset is sourced through over 900 motor Body repairs who carry Major Manufacturer and Insurer approvals; no personal information is stored or relayed and the provision of the information is completely POPIA compliant. Our support team will get back to you during office hours. Please enter your email address and click on the Reset Password button. We will send you an email with a link to help you reset your password. Click on the link to go to the page to enter your new password.